Several years ago I attended an event at a local high school. As I drove into the parking lot, a bumper sticker on a student’s car caught my eye. I’ve never forgotten it. It was only two words. But they say a lot. Authority has become a four letter word to this generation. School officials, law enforcement officers, and religious leaders don’t occupy positions of respect that they once enjoyed. Of course, some has abused their authority and brought shame upon themselves and the office they hold. But there is one person who holds a position of authority who deserves our respect, honor and absolute obedience. Jesus Christ. However, He, too, is questioned, disrespected and ignored. But this is nothing new. 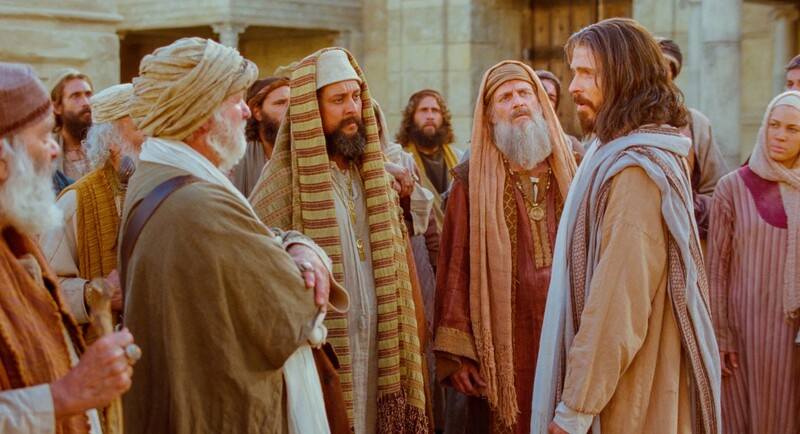 During the final week of Jesus’ life after he entered Jerusalem, he was approached in the temple by the Chief Priests, the scribe, and the elders and questioned. “By what authority are you doing these things? And who gave you this authority to do these things?” (Mk. 11:27-29). Their question was insincere. For most of His ministry, the religious leaders had been trying to trap Jesus with some hypothetical question. Or find in Him some inconsistency. Or even discredit Him because of his parentage, hometown, or lack of educational credentials. Quickly the realized they are the ones trapped. If they admit it was from heaven, Jesus will say, “Why did you not believe him?” However, it they say it was from men, the people will turn on them because they revered John as a prophet. The fact is they did know. But refused to accept the Truth. And they could not deny the power of Jesus and the impact of His teaching. But they resisted because their hearts were hardened, their motives were impure and they were more concerned about their positions than they were about their spiritual relationship. Two thousand years later, people are still questioning the authority of Jesus. Denying his deity. Rejecting His Word. Disobeying His commands. And twisting his teaching to suit their own preconceived notions. Therefore, since Jesus possesses all authority, what he said ought to be of supreme importance of us. It ought to mold our thinking, influence our decisions and guide our lives. These and a myriad of other issues are answered directly by Jesus or through the writings of his divinely inspired ambassadors, the apostles. Jesus said he came the we might experience life in all its fullness (Jn. 10:10). And Peter affirmed that we’ve been given “all things that pertain to life and godliness (2Pet. 1:3). In an age that turns to the internet for answers, is influenced by pop culture and worships celebrities, it’s time to come to Christ. To turn to Him. To accept His Word. And submit to His authority. Thanks Bro. Ken for these and all your comments. Good to see that you are still ‘standing tall’ for the truth. What do you hear from Ken Jr. Where is he located now?